Need to relax and get some sleep? Cannabis can help. We have found that Indica strains like God’s Gift and Tahoe OG Kush are both super effective against restlessness. · We also love Lola Lola Granddaddy Purple pre-rolls and California's Finest OG Kush pre-rolls to help bring on some zzz’s. · If you’re looking for something you don’t have to smoke, how about topicals! Cannabis lotion? Yes! We love Apothecanna Calming body cream with lavender and chamomile. · Need a late night treat to satisfy your sweet tooth? Try Altai Edibles Indica Sea Salt Carmel Bon Bons. Mmmm. · Not looking for the extra calories? Too decedent? 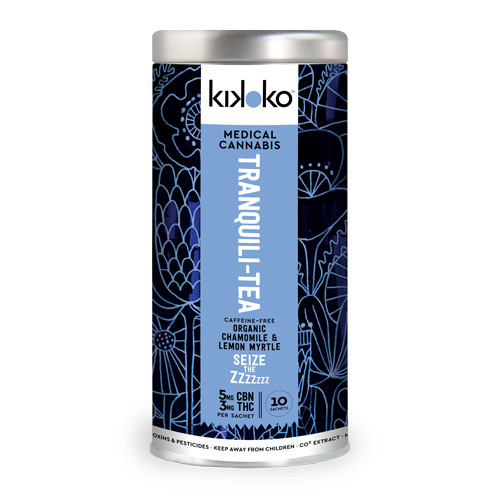 How about a nice cup of Kikoko tranquili-tea will help you relax and is made from organic chamomile and lemon myrtle. Note, products affect people differently, so it may take a couple tries to find the right one for you!